Spring seems to be the choice season for events that are dress-worthy: weddings, bridal showers, baby showers, and Easter. It's finally warm enough to not feel like you'll freeze your tush off with legs and/or arms exposed and there's just something about throwing on a dress that announces: nice weather is here. 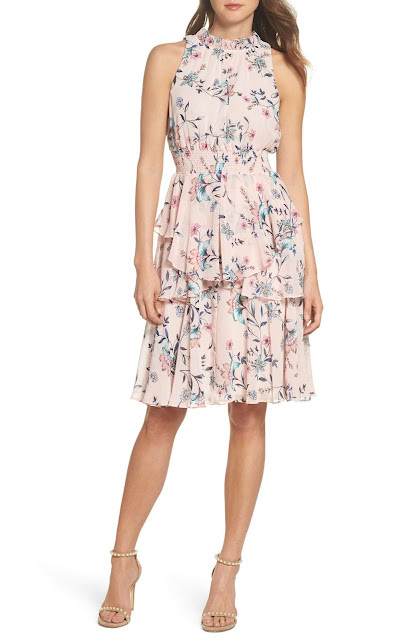 In case you're in the market, I've rounded up some dresses I love at various price points. Happy shopping (or browsing)! 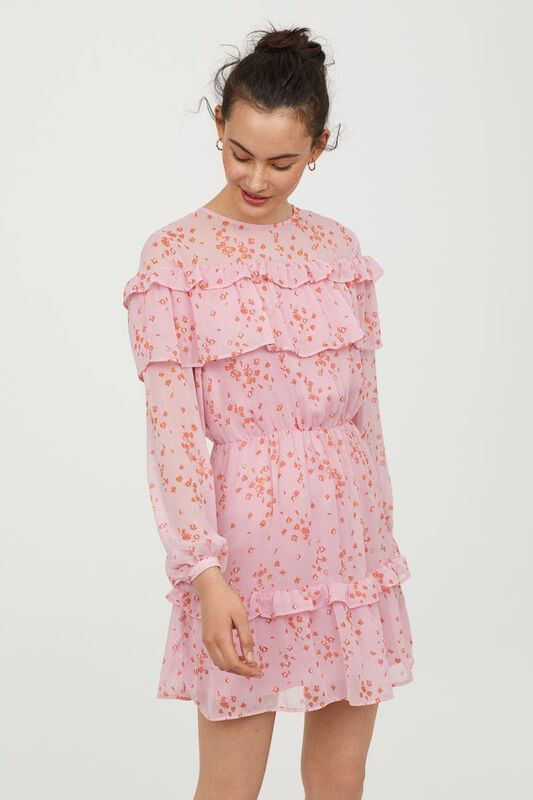 I love anything off the shoulder and can picture this at a daytime spring wedding. I really love this color and I am drawn to anything with tiers (my wedding dress had tiers!). Such pretty pops on this one, and I love a good maxi dress. This would be great for a casual/outdoor shower or event. I like that it has a somewhat sporty vibe. A good price for a dressier style, this one comes in 8 different colors. The light blue is my personal favorite. 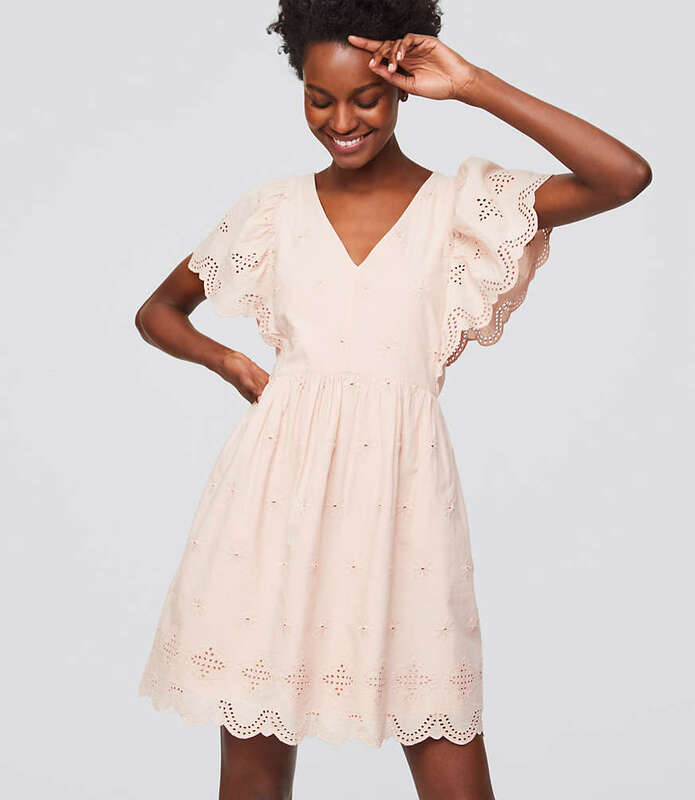 Eyelet is huge right now, but honestly I think it's one of those looks that never really goes out of style. 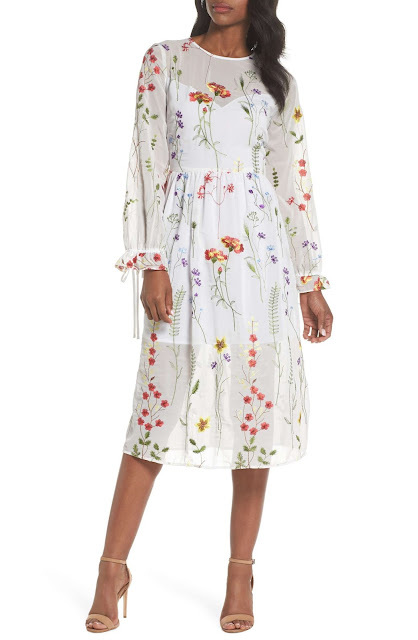 I'm really digging the sheer/floral look that seems to be popping up (see what I did there?) all over the place. Another pretty floral option. All hail the dress that allows you to wear a real bra! 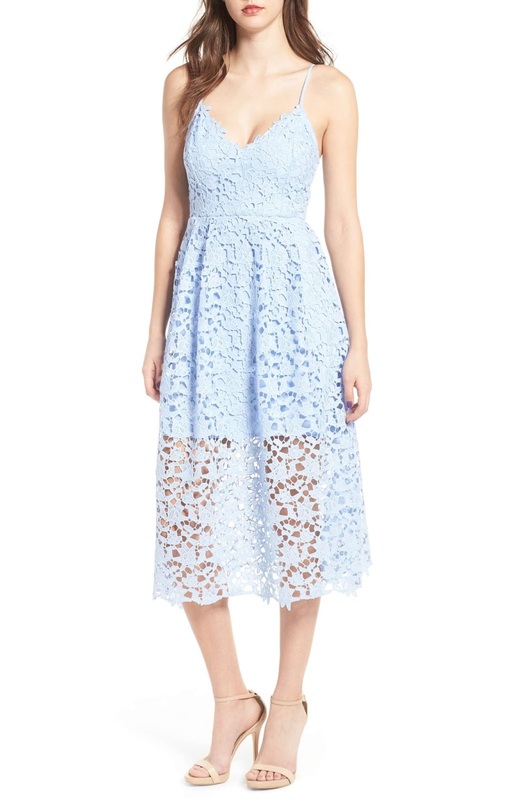 I love that this dress has the illusion of a (tasteful) two piece in the front, but isn't really. I've also had my eye on this one and this one in the same style. I'm not one to normally love florals, but this season they seem to be everywhere and there are some really pretty, fun color combos. 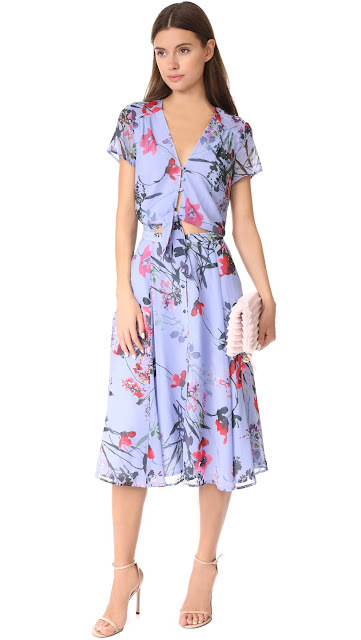 The two piece trend is also big, and I love that a lot of dresses are mimicking the look without truly being two pieces. I am loving all of these. So pretty and perfect for a bridal shower, wedding, Easter, etc. Aren't they pretty?? They just felt like spring to me... light, colorful, easy. Can't wait until it's warm enough to wear them!